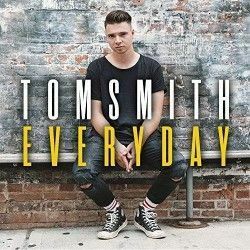 Integrity Music announces the global release of Everyday, a new EP from recording artist and Soul Survivor worship pastor, Tom Smith, that reflects what God has been doing over the past two years in Soul Survivor events around the world. 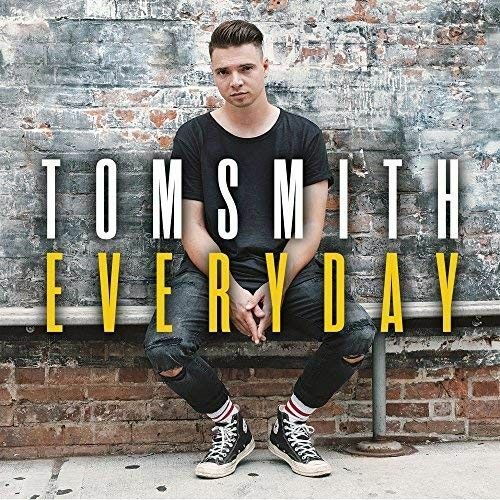 The six-track, studio-recorded Everyday was produced by Jimmy James and Ben Cantelon and features songs penned by Smith and writers Nick Herbert, Jimmy James, Phil Wickham and Tim Hughes. He's from the same town as Martin Smith and has even borrowed (and dropped) his guitar to lead worship. Tom's first mentor was Tim Hughes and Tom has been a worship leader at Soul Survivor for a number of years which means experience of writing his own material and playing his and others' songs in worship events. 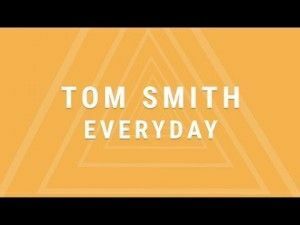 So all the ingredients are there for Tom Smith's second worship EP called "Everyday". 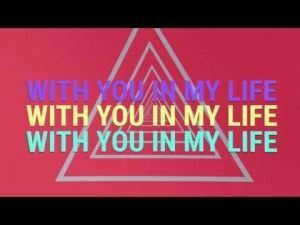 "You In My Life" is a youth oriented light dance track which celebrates that nothing is impossible as long as "You" are in my life. All the lyrics of the verses do point towards God or Jesus, but it's not spelt out which is a bit odd for the opening track of a worship album. I'm not a JPM (Jesus-Per-Minute) person who believes that every Christian song needs to mention Jesus or God multiple times, but I just think it's an odd omission on this track. I don't know if you have noticed but there have been quite a number of worship songs released since Matt Redman released "10,000 Reasons". Tom Smith also has his number, but for him it's just "1000 Years". This is a worship song that isn't afraid to mention God or sing about Him, or to Him! This talks about God as ever faithful from before creation and then brings in the line of a 1000 years being like a day to God, It's a strong worship track just giving God glory for His faithfulness and pondering on the mystery of the way God see's time. Slowing things down for the title track, it's a bit of a confession of our nature as human beings and how we need Jesus "Everyday". This is a fairly simple song that builds in it's worship and I feel this could be a powerful track for those who are struggling with a particular sin as it reminds us that we have a fresh start because God's grace is there for us. "Jesus, I Love You" is a similar tempo to the song before it, again it builds to a crescendo through the third chorus. This song is pretty much what the title sounds like, it is a love song for Jesus, the response being the sacrifice of giving our all back to God. "Risen" looks at the cross and what Jesus accomplished there and through his resurrection. There are a lot of worship songs that skirt around the issue of the cross, resurrection and return of Christ, but this takes these things on and rolls them all into a very singable chorus that wouldn't be out of place in any service, but probably deserves consideration for something different in an Easter Sunday service. The EP rounds out with an acoustic version of "Obey" which is a nice change to hear something a little more pared back and actually hear the vocal more fully. I am not sure that Tom's vocal particularly stands out, or is uniquely identifiable, compared to other male worship leaders. Having said that this track proves that he doesn't need all the bells and whistles of modern recording to sound good. The song itself, as you may have guessed, is a song of obedience, living out God's word with the humble reminder that God's presence is the reward. I think the first track really put me off this EP before I had given it a chance, not because it was an EDM track, but that lack of using the name of Jesus felt really strange and the cynic inside of me wondered if it was written with an eye on getting radio airplay outside of the Christian media. Thankfully I continued on through the album and I'm glad I did! Beyond that first track I found worship that I felt was God honouring, that I would happily listen to and sing along to, and ultimately was something that praised God for who He is. If I were choosing favourites then "Everyday" and "Risen" would definitely be the ones I would be deciding between. I know I have a Soul Survivor album coming up in the reviews soon (Standing on the Edge) which features Tom, so I look forward to hearing more from him, and I am sure that this isn't the last that we will hear from him as a solo artist!